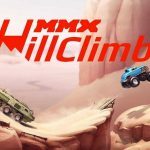 Hill Climb Racing 2 MOD APK Hack is for Unlimited Gold Coins and Gems. 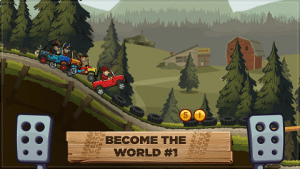 This second version of this game is based on a smash hit Hill climb racing which was released for mobile phones back in 2012. as you can check their download stats in the play store you will see its one of the classic game which everyone had tried it once. and then when i heard about its sequel i was as excited as i have heard about the Bully Anniversary Edition. This Hack APK of HCR2 will not need A Root Access at all it works best on Non Rooted and Rooted Devices as well. 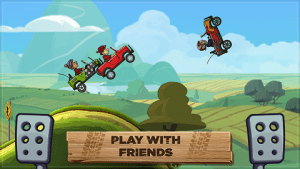 Its just about a racing on Hills and maintaining the balance of your cars. 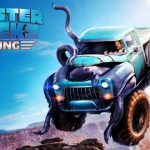 There are three types of vehicles you can drive one is scooter, jeep/Monster truck and dirt bikes. Things got a lot easier when you are riding a monster truck because it can climb the high hills easily. There are around 2 game modes in the game. one is Unlimited/Endless Map where you have to drive as fast as possible and go far to make high scores. other modes is a PVP MODE i do not think that its a real time PVP game but its working great. You get to play with other players in a race and when you win you will get a chance to win a chest. just like Clash Royale? yes and you have to give sometimes to get that chest open. each chest takes different time according to chest rarity. Chests contains Outfit items and gold coins. you can also get free chests over time. There is a league system. the higher you go more rewards you will get. 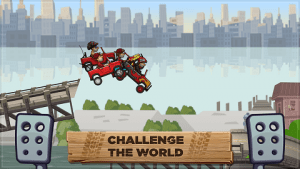 Gameplay is kind of addictive and balancing the bikes and monster trucks are a lot fun. 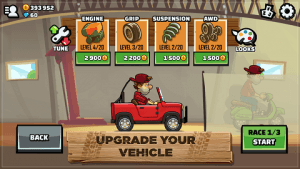 You can use Gold and Gems to upgrade your vehicles.even you can tune your vehicle for the best performance. Graphics looks great and this small game may win your hearts at first play. Runs at 60 FPS on and it looks great. There are around 4 MAPS in adventure MODES which you can unlock using Gold Coins. 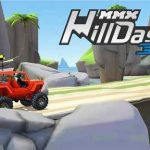 and since you have a MOD APK Hill Climb Racing 2 then you can unlock and upgrade your bikes easily. and make it work ..
not working on Honor 10 Lite ..
First ….you are the best! Can it be possible to make it unlimited fuel? Great mod!! love it so much!! Btw… Can u mod flightradar24 please? Can I connect it with google play games account? 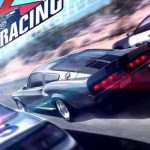 Hi Team, any news with CSR 2? We’re still facing the issues the fuel refill screen not letting us progress the to races. Try buy low level vechicles first then you get money to buy tank..
Hey Guys just wondering how to get online with this?? Pls upload 1.1.3 version of this game and mod also. RG where a normal apk? 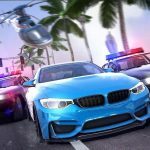 add rr3 latest version rg ? Hi RG. I can’t find your normal apk link. I downloaded the Google Play version and tried installing your MOD and it doesn’t work, it doesn’t install the MOD. Can you share again the link for your normal apk? Thank you. Why isn’t it available in Australia? 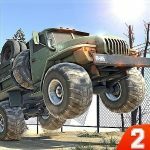 Mod apk does not install over normal apk what should we do RG? Even the normal apk has 17 million coins and gems…. When i enter the name game crashes always. Yo u got to install the normal apk put yo name in then install the mod apk. It works call me ?